> Accueil Blog The end of Awards Season! The beginning of February is also the end of the American awards season. The season starts in November with the People’s Choice Awards and ends with the most prestigious awards ceremony– The Academy Awards – also called ‘The Oscars’, (the name of the statue). The statue was named after the Academy librarian’s Uncle, Oscar. Over 3,000 Oscars have been awarded over the 89 Academy Award ceremonies. 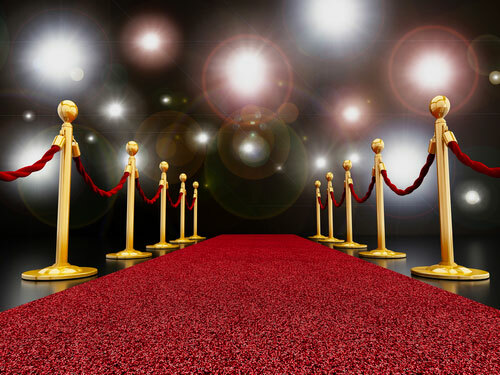 Some categories are very well known, such as best picture or best actor/actress. Others are not quite as well known. Have you heard of the award for sound editing? Best hair/makeup? This year, there are 8 nominees for the best picture award. How many of the best picture nominees have you seen? And yes, believe it or not, Lady Gaga is nominated for best actress! Sometimes, people have a party at their home to watch the show with their friends (and the pre-show, which is often more interesting because of the glamorous clothes). To make the party more fun, a person will make a document with all the nominees and try to predict who (or what) will win each category. If you have an Oscar Party, there is a list after the vocabulary that you can print out to predict the winners.